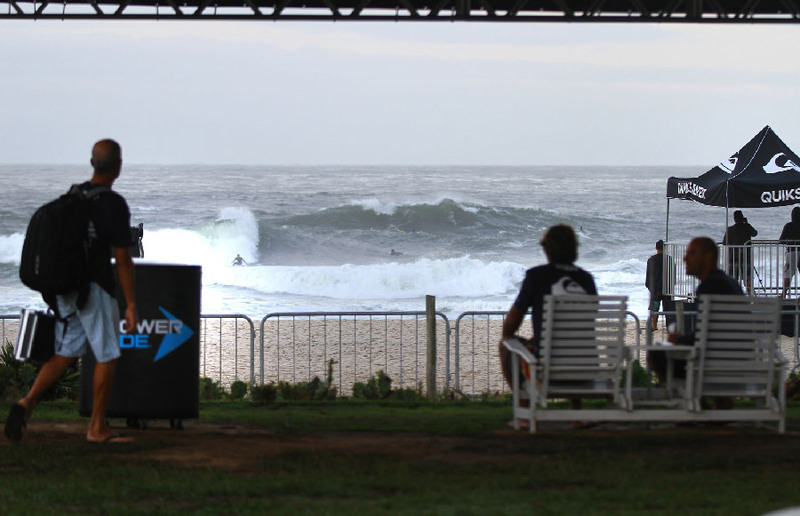 Full day of upsets and high scores at QS 10,000 in Brazil. 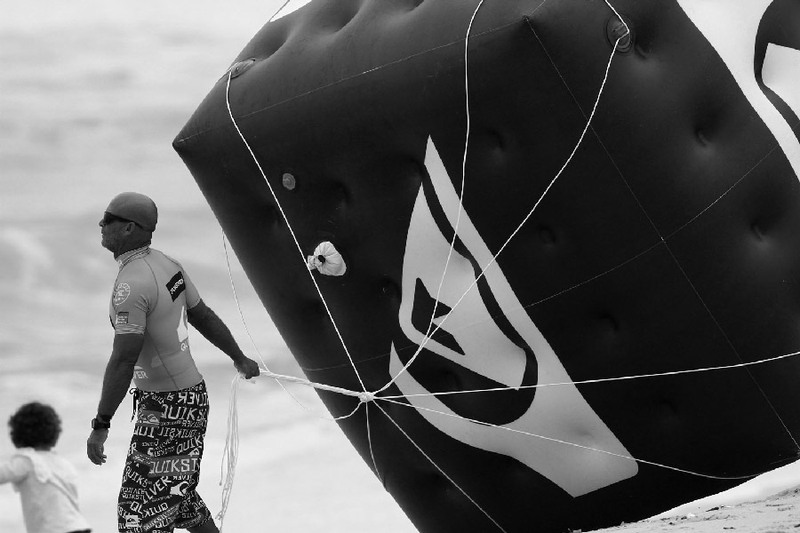 The first day of competition at the Quiksilver Pro Saquarema presented by Powerade is in the books after an exciting day of action at Praia de Itauna, in the State of Rio de Janeiro, Brazil. Waves in the 3-5 foot range (1-1.5 meters) provided lengthy rides and punchy sections, which resulted in big scores and major maneuvers from the field of international athletes at the 2nd World Surf League (WSL) Qualifying Series (QS) 10,000 level event of 2015. Dusty Payne (HAW) displayed a combination of power, technique and strategy to earn the highest heat total of the day by scoring a 16.95 (8.75 + 8.23) in Heat 10 of the Round of 96. Aritz Aranburu (ESP) advanced along with Payne into the Round of 48 by defeating Kiron Jabour (HAW) and Cahill Bell-Warren (AUS) respectively. Another athlete that also stuck to the rights for high scores was Ryan Callinan (AUS), who blew one wave apart for a 9.50 point ride; the highest of the event so far. Hiroto Ohhara (JPN) advanced in 2nd place behind Callinan, eliminating current Samsung Galaxy Championship Tour surfer Brett Simpson (USA) and Gonzalo Zubizarreta (ESP) in Heat 15. Callinan currently sits in 13th place on the 2015 WSL QS rankings and hopes to improve his place in the standings with a strong result at the Quiksilver Pro Saquarema. In Heat 13 of the Round of 96, one the most unexpected and stunning upsets of the day happened when Quiksilver Pro Saquarema wildcard invitee Michael Wright (AUS), 18, took control of a stacked heat and looked explosive by netting a heat total of 16.83 (9.00 + 7.83) to earn 1st place and advance into the Round of 48 alongside Caio Ibelli (BRA). Jadson Andre (BRA) and Hiroto Arai (JPN) were eliminated from the event. “Just being here is a blessing and being able to advance in first place after such a complicated heat is even better,” remarked Wright, who is also the younger sibling of elite CT surfers Owen and Tyler Wright. “When that wave came, I knew I had to get the most out of it.” The young Australian arrived in Brazil in 357th place on the WSL Qualifying Series rankings. In contrast, Alejo Muniz (BRA) currently leads the WSL Qualifying Series rankings after a sizzling start to the 2015 season. Looking fiery and focused, Muniz scored a 16.17 (8.57 + 7.60) in Heat 6 and advanced in 1st place, followed by Marlon Lipke (PRT) in 2nd. 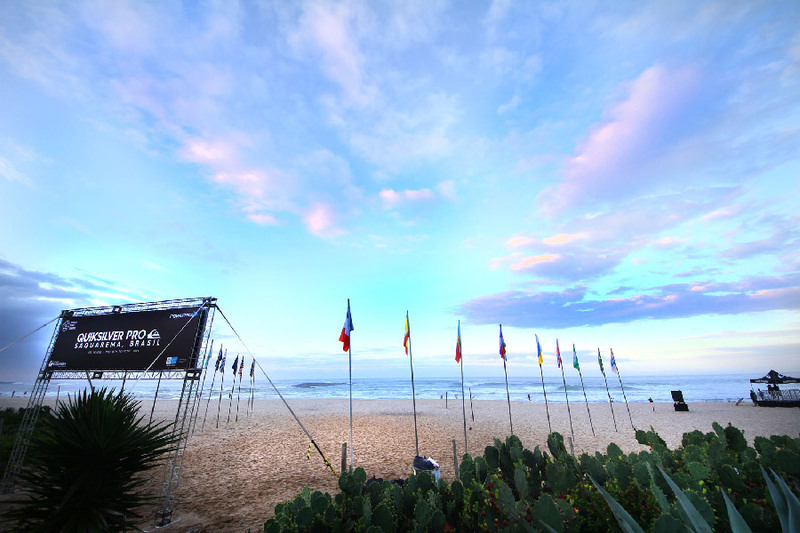 Ramzi Boukhiam (MAR) and Yadin Nicol (AUS) were both eliminated from the Quiksilver Pro Saquarema.